From the lower earthly chakras we journey onward to the balance point between the physical realm and subtle realm, the 4th chakra. 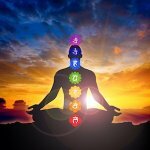 Once we connect with and fully awaken the energies of the first three chakras, we can use these passions to benefit the bigger picture of Self. We can grow from our stable base toward a greater understanding of the larger sense of who we are in relation to the universe. 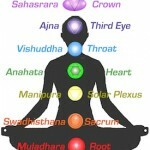 Kundalini Yoga is a wonderful science to prepare us for living from Anahata. Yogi Bhajan talked frequently about the importance of communication coming from the heart chakra and was a shining example of unconditional universal love. In sharing Kundalini Yoga with us, he gave us the tools to find unquestioning love for ourselves, others, and the Divine. Anahata means “unstruck” which relates to the constant rhythmic beat or vibration of the heart. Many ancient yogic texts say there is a sound that is non-physical and this transcendental sound vibrates endlessly as the heart beat of all creation. As we move through a more heart-centered time for humankind, many of us are experiencing a deeper connection with this 4th chakra. According to the wisdom of Kundalini Yoga, this chakra is related to the physical heart, lungs, arms, hands, thymus gland, and immune system. When we are disconnected from the energy of this chakra, we can experience physical difficulties with the heart, the circulatory system, blood pressure, lungs and have constant dis-ease. Daily physical exercise outside of a Kundalini Yoga practice can be very beneficial for the strength and functionality of these aspects. Energetically, the heart chakra is related to compassion and unconditional love. If we are fully connected and living from our 4th chakra, we treat everyone with kindness and offer forgiveness freely. Ourselves included! In this space, we find balance between our earthly desires and spiritual pursuits. We accept that all is as is should be and we see God in all. Through the heart chakra, love is our motivation and our relationships with others, nature, and ourselves are harmonious. 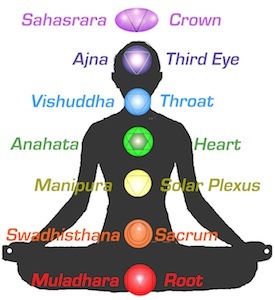 Kundalini Yoga is an excellent way to connect to the root of the 4th chakra, self-love. The technology of the kriyas works to strip away layers of junk and debris so we can discover our inner light. Once we are full of self-love we can truly love others no matter what. If we are disconnected from the 4th chakra energy, we tend to feel alienated, lonely, and sad while questioning the existence of love. It is easy for us to be hurt, we fear rejection and are dependent on others affections. We can be cruel, critical, and passive aggressive or suffer from helper syndrome, always giving and sharing with those who do not want it. Lovingly as always, Kundalini Yoga comes to the rescue! In The 8 Human Talents by Gurmukh, there are a quite few very simple heart chakra exercises and meditations. This book also has a wealth of information about all the chakras and amazing Yogi Bhajan quotes sprinkled throughout. The Kundalini Yoga manual, Reaching Me In Me has quite a few heart chakra kriyas. Try “Exercises to Create a Disease Free Body” to boost the immune system or “Exercises for the Heart Center” or “Creative Meditation of the Sublime Self” to strengthen the physical heart. All three are excellent to bring a deeper awareness of the 4th chakra energies. If you enjoy chanting, the mantra “Hum” is the sound of the heart chakra. 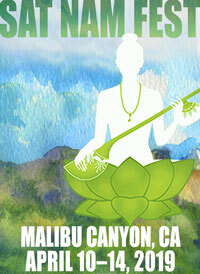 You can sit and just chant Hum or you can use the Kundalini Yoga mantra Humee Hum Brahm Hum. Nirinjan K. Khalsa has a nice version that allows you to sink into the sound and reverberate it at your heart. The Guru Ram Das mantra is another vibration for the heart chakra. There are so many wonderful versions of this mantra that it’s easy to have a hundred favorites. Sat Kartar & Siri Ved Kaur’s version really pierces and expands the heart infinitely. Gurunam Singh’s version on Crimson Sadhana is quite comforting and exudes kindness. Another simple way to connect to the heart chakra is to study saints and enlightened beings. By reading and learning about these great masters, we can begin to understand what a life of service and compassion is all about. A beautiful Kundalini Yoga book to begin with is Heroes, Saints And Yogis by Shakti Parwha Kaur Khalsa and Guruka Singh Khalsa. Read, savor, surrender and connect to the Love the Universe holds for you. 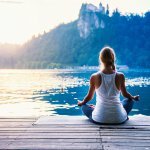 A couple of quick Kundalini Yoga postures to bring a deeper connection to the heart chakra energy are baby pose which allows the physical heart to relax. Yogi Bhajan stated that 15 minutes of this pose daily can be very healing for us. Standing torso twisting is also beneficial. Stand with the feet shoulder width distance apart and as you inhale, twist toward the left reaching back with the left hand and bringing the right hand to the center of the chest. 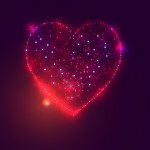 As you exhale, twist toward the right reaching back with the right hand and bringing the left hand to the heart center. Twist and energize the whole spine as you breathe deeply and powerfully. For a 4 minute guided meditation, try Ramdesh Kaur’s “Guided Meditation for Self-Love” on Journey Into Stillness. Truly a sublime affirmation to use daily as you cultivate unconditional love for yourself. Some lifestyle suggestions for the heart chakra are daily physical exercise, conscious deep breathing in the freshest air you have available to you, eat plenty vegetables, wear green, pray, and give service to your community as a volunteer. Remember that you are unconditionally loved by God, the Universe, the Divine and you only have to tap into that love to live a happy compassionate life.